Our medical transcription pricing will depend on the anticipated medical transcription volume each month. Accurate and appropriate documentation is a priority for all healthcare providers. It is necessary to comply with government regulations, and it is required for billing and reimbursement. Not only that, it can be your protection in case of a lawsuit or other legal issues. Hiring a professional medical transcriptionist to handle your documentation for you is an effective and efficient way to help you care for your patients. We have very competitive medical transcription rates. Our medical transcription pricing is based in large part on the monthly volume of medical transcription. Plus, we have many programs that provide discounts. We are more than happy to provide you with a free quote. We also offer a free trial period so that you can decide if our medical transcription services are right for you. At DataMatrix, we will never require you to sign a contract that locks you into our services. Unlike onsite employees, you don’t need to worry about salaries or employee benefits. Our medical transcription rates are transparent – we bill you for the work we perform as we perform it, plain and simple. Our team is an extension of your team. If your patient load has outpaced your current transcription team, we will gladly help out with the over-flow work as well. Please give us a call or send us a note and we will work with you to provide you with the most competitive medical transcription pricing. A medical transcription company saves you time and money, and also helps to protect you against errors in documentation. Our trained medical transcriptionists can spot potential errors and flag them for your review. If you see 40 patients a day, and it takes 5 minutes per patient to document the visit, total daily documentation time adds up to more than 3 hours! 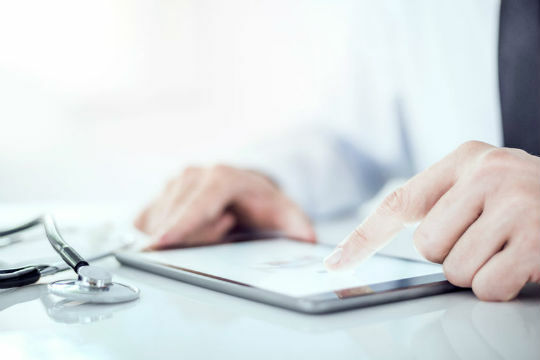 No matter how fast you are able to type, dictating your notes via one of our convenient methods is significantly faster and can easily save you a few minutes per patient, and those minutes add up! Some practices use medical transcription software to dictate their notes. On the surface, this might seem like a cost-effective method. However, your practitioners will have to dictate at a much slower pace in order to avoid errors. 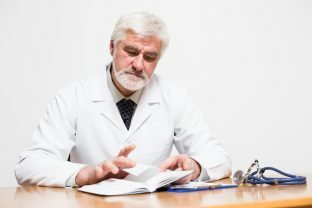 Providers must also edit the dictation results of medical transcription software to ensure accuracy, and editing those notes can take even longer than dictation. 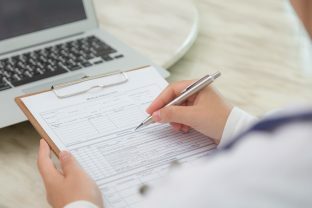 Many providers end up wasting hours a day editing their notes and making sure those notes are entered into the EHR correctly. Dictating your notes to be transcribed and entered into the EHR for you is well worth the medical transcription services rates. Medical transcription services may initially appear to be an expensive investment. However, we believe you will quickly realize the benefits. The time and energy your providers save by using our services creates more time for your providers to spend on other priorities. Because you get to customize the level of service that you use, you are in complete control of your budget. Some physicians only have us proofread the data entered by their medical transcription software. Others have us transcribe all of their notes and enter them into their integrated EHR. Our medical transcription specialists improve the accuracy and comprehensiveness of your notes, which in turn increases reimbursement, physician referrals, and medical team communication. Best of all, there is no need to overhaul your existing workflow. With over 20 years of experience in helping physicians, DataMatrix will seamlessly fit into your practice without you needing to make any significant changes. Once you decide to work with us, we will assign each provider in your practice a dedicated multi-person transcription team comprised of transcription experts who are trained in each provider’s specialty. This dedicated multi-person team of medical transcriptionists ensures that your providers will always have someone who understands the medical terminology of their specialty and can spot potential errors in dictation. Furthermore, each team will quickly become familiar with each provider’s individual dictation style, allowing them to provide the best possible customer service. Contact us to learn more about our medical transcription rates, get a free trial or to get your free custom quote! LEARN MORE ABOUT HOW DATAMATRIX KEEPS YOU IN FRONT OF WHAT REALLY MATTERS: YOUR PATIENTS AND YOUR FAMILY.